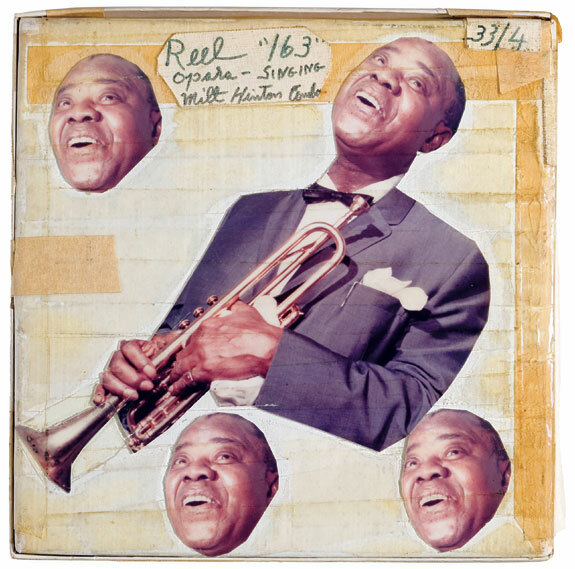 Somehow Louis managed to play 300 dates per year, influence generations of jazz musicians and singers, star in motion pictures and on television AND create over 500 collages on the tape boxes of his personal recordings. He also collaged in scrapbooks, on walls, wrote three autobiographies, was a voracious letter writer, and all around cultural icon. The book will feature 200 plus works of art, due out in spring 2009. Hi there!!! I saw in Paris Review the note about your book about Satchmo. Wow!! Will it be printed in USA? Will it be available directly with you?? Hello! The book is due next spring, 2009 from Harry N. Abrams publisher, New York. The printing is being done in Asia (not China). It will be available through Amazon, not sure if I will be offering it myself. I will be ready to get it. Thanks and good luck.